The United States flag, a symbol of freedom and stability, has had a rather dynamic history. 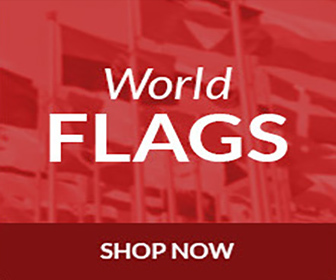 There were several designs of flags flown before the U.S. even became a country. Since the adoption of the official flag, there have been 26 versions. In fact, there were no official guidelines for proportions and arrangement of the symbols on the flag until the early to mid 1900s. From the very beginning of flag waving in what was to become the United States, a common theme was the presence of red stripes, and later stars. Many believe this is based on the red stripes and stars on George Washington’s coat of arms, although there was no blue. This has not been substantiated, but is commonly held true. Of the flags flown in the year before the nation’s birth, all but one included the striped theme. The years of 1775 and early 1776 featured these varied styles. The Liberty Tree flag was flown in New England waters by American ships. It is the only flag that does not feature stripes. A white background is accented by a green pine tree and the words “An Appeal to Heaven.” The Don’t Tread on Me flag was used by the Continental Navy upon its founding and featured a snake on a background of red and white stripes with the words “Don’t Tread on Me.” Other flags flown in 1775 include the Sons of Liberty with only red and white stripes, the New England with red and white stripes and a small green pine tree, and the Forster that featured a red background with white stripes in the upper left corner. The flag that flew at the signing of the Declaration of Independence was The Grand Union flag. Oddly enough, in addition to 13 red and white stripes, in the upper left it featured the British Union Jack – the symbol of the very country the nation had fought for independence from. In 1777, the Continental Congress adopted the basic elements of the flag, which were thirteen stripes of red and white and thirteen white stars in a blue field representing a new constellation. The stars were to represent the thirteen colonies. The resolution did not dictate, however, how the stars were to be arranged, so there were many different versions. Some featured the stars in a ring (commonly credited to Betsy Ross), some in a star pattern, some in rows, and the Cowpens Flag, which featured one star within a circle of 12. The traditional story we are told in school is that Betsy Ross sewed the first official flag, but there is no evidence of that being the case. The story actually originated nearly 100 years later in 1870 when her grandson, William Canby, told the Historical Society that Betsy Ross had sewn the flag on the request of George Washington. He had family affidavits to prove his point, but no other evidence. Although the 1777 proclamation laid out the basic elements to be included in the flag, several did not conform to the guidelines. The 1777 Brandywine Flag was a red background, with white stripes and red stars in the upper left corner. The 1779 John Paul Jones Flag, also known as the Serapis Flag, featured blue stripes comingled with the red and white ones. The 1780 Guilford Flag featured 13 red and blue stripes, with blue stars on a white field in the upper left. The 1814 Easton Flag featured a blue background with the red and white stripes in the upper left and a circle of white stars in the main body of the flag. Other flags that generally conformed to guidelines added other elements, such as the 1803 Indian Peace Flag that featured an eagle under an arch of stars in the upper left, and the 1820 Bennington or Fillmore Flag that featured the number 76 under an arch of stars in the upper left. The addition of stars to reflect the number of states began with the 15-star 15-stripe flag in 1795 to include Virginia and Kentucky. In 1818, the flag was again revised to revert to 13 stripes and increase the stars to 20 to account for additional states at that point. After that stars were added on July 4th for all states formed by that date, with stars being added in 1819, 1820, 1822, 1836, 1837, 1845, 1846, 1847, 1848, 1851, 1858, 1859, 1861, 1863, 1865, 1867, 1877, 1890, 1891, 1896, 1908, 1912, 1959, and 1960. A curious flag was made by manufacturers in 1889 with 39 stars. They erroneously believed that North and South Dakota would be one state, so they miscalculated the number of stars. Some of these still exist as collector’s items, but they were never official flags. Another fact to note is that during the Civil War, even though the South seceded from the Union, no stars were removed from the official United States flag. The flag design became a stable symbol for the nation both in 1912 when President Taft signed an Executive Order dictating proportions and star placement and when President Roosevelt signed the Federal Flag Code in 1942. The code provided guidelines for the dimensions and placement of elements on the flag, as well as for how to display it. This is the basis for what the flag looks like today. Yet even with those guidelines, it has changed since the code with the addition of Hawaii and Alaska as states. The change, however, has been more a symbol of growth than of change. A symbol of freedom and determination, the flag has served as an inspiration since it was unfurled. In addition to its place of respect within the Nation’s borders, it has been posted all over the world and beyond. It was placed on the North Pole in 1909 by Robert Peary, on Mount Everest in 1963 by Barry Bishop, and on the Moon in 1969 by astronaut Neil Armstrong. Although the flag has spread its wings from Earth and beyond, the most profound symbolism it conveys is freedom for its citizens to spread theirs.